Christmas is a wonderful time of the year to share a warm, family portrait or fun photo of the kids with the Grandparents, Aunt, Uncle or distant relatives. Present them in one of these personalized wood picture frames. 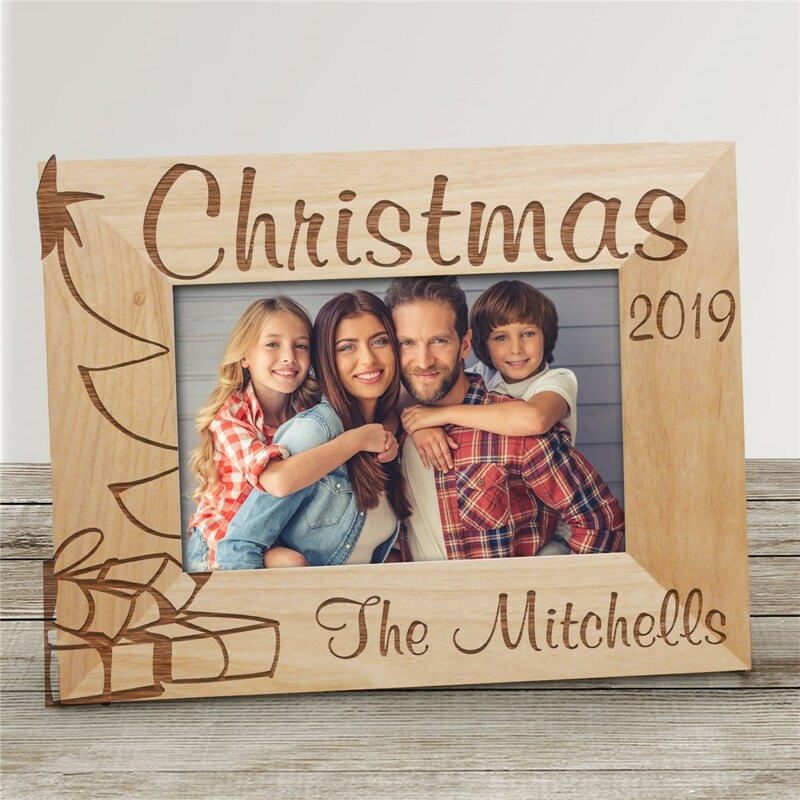 Our Christmas Tree Personalized Wooden Picture Frames come in three sizes, please choose from, 4"x6", 5"x7" and 8"x10". Easel back allows for desk display. Includes FREE Personalization! Personalize your Christmas Tree Wood Picture Frame with any year and any one line custom message. Be sure to look at our entire collection of Personalized Christmas Gifts for Him or Personalized Christmas Gifts for Her. Both of these Personalized Christmas Gifts sections have the perfect selection of personalized gifts for the Christmas season.